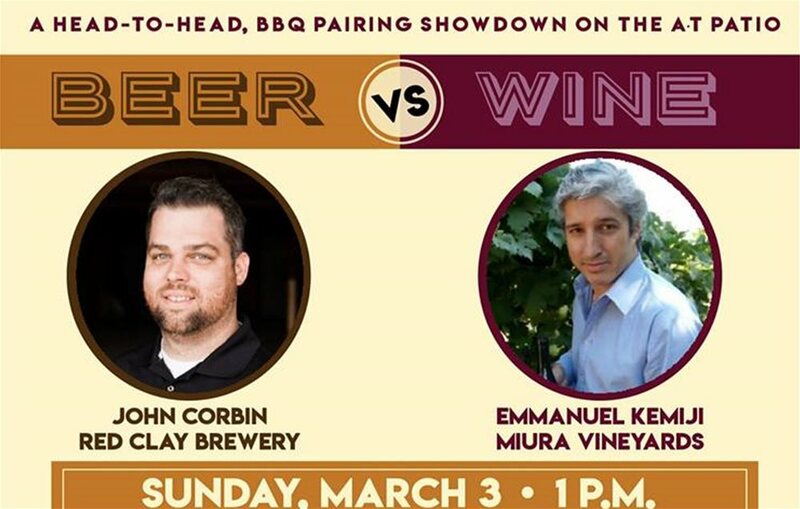 Beer and Wine will go head to head in a BBQ pairing showdown on the A·T patio, Sunday, March 3, 2019. John Corbin, owner of Red Clay Brewing, and Emmanuel Kemiji, owner of Miura vineyards, will feature beer and wine paired with delicious BBQ prepared by A·T’s Chef Miguel. Guests will vote for their favorite pairings and will have the chance to win prizes from Red Clay and Miura. The event will start at 1 p.m. on Sunday, March 3, 2019. Tickets are $50 per person and include complimentary valet parking.